In This House, We Fight Infertility Stigma, Eat Gluten Free, Travel Internationally and Live Intentionally. Today my husband's family will lay to rest a beautiful soul. At a young age of 32, Mr. Mind's cousin had a heart attack. It was a devastating loss to everyone. While most are still walking around in disbelief, I am trying to be Mr. Mind's strength. I did not push him to speak about his cousin, but let him bring him up when he felt comfortable. I slept so lightly for the first two nights just in case he didn't want to be lonely when he couldn't sleep. Yesterday Mr. Mind thanked me for being the best partner when times got rough. Selfishly, I was happy to hear that because life doesn't prepare you for this. For newly engaged couples, this is an example of "for better or worse"! Ready to get even crunchier?Let's look at your Kitchen. This is the heart of the home. The place that everyone gathers, and eats. It houses all the changes you made so far. Take a look at your pots and pans. Are you cooking with nonstick and coated pans? Check out how bad those pans are for your heath here. Don't get me wrong, there are plenty of websites out there that will boast about the goodness of nonstick pans, but the goal is to be crunchy right? The goal is to limit all the extra mess that is added for convenience and ease and stick to basics even if it requires extra work. Because who is afraid of extra work? *Target, Khols and JC Penny run sales a couple times a year. I have a full set that is 3 years old and looks great. Cast Iron pot and pan. * I have a cast iron dutch oven. I am working on the pan. I am so proud of you! It takes strength and courage to change your family's eating habits and change their diet. Heck, it's tough changing your own self. So coodles to you for working so hard for the past few months. My journey consisted of the understanding of a gluten allergy, you can find that post here, then we attempted to eliminate pork (lasted a month) and we successfully cut out canola in a post here and finally made changes to our guts in a post, here. We were on a mission to feel better and be healthier. 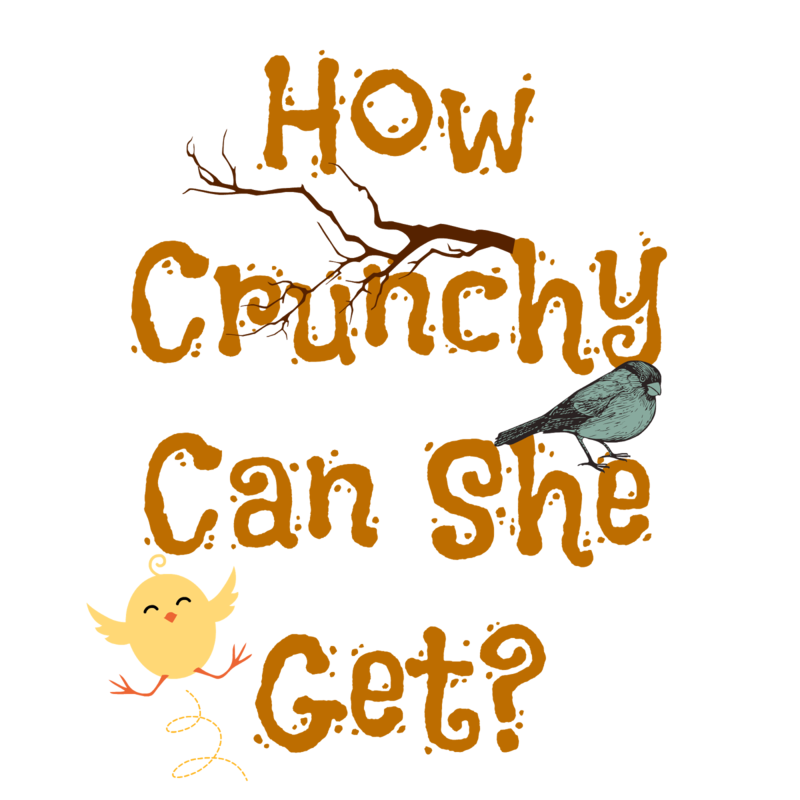 If you are just now joining us, this post is a continuation of "How Crunchy Can She Get!" My co-worker has to change he daughter's diet to a Gluten Free and Dairy Free one and she was wondering how we did it. Check out Topic One and Topic Two. Stay tuned because we have more changes to go! Make your Own Mixes Not only does changing what you eat changes your health, it also changes your expenses and your way of thinking. Today let's focus on saving some money on typical things that people will buy this summer, over and over again. 2.) Semi-homemade (Helloooo, Sandra Lee). If you were a flour leveling, baking soda measuring, broth simmering cook, then learning the proper replacement ingredients is what you will need. However, if you were a box opening, 2 egg cracking, heat up in the oven kind of cook then you will need to learn about the companies and it's products to buy. 1. Change out the Cows milk for Almond, Goat, and if she had to, Soy. I told her this isn't an easy task if people in her home are use to drinking glasses full of cow's milk. If milk is just an additive to baking or on top of cereal, this change wouldn't be too hard. 2. Get rid of all the obvious gluten and milk products. Obvious meaning cookies, cakes, ice cream, milk, etc. Since 4 out of 5 people can still consume it, I advised her to at least keep it out of site of her daughter until it has been consumed by the others. 3. Now investigate the hidden gluten and dairy in your home. How Crunchy Can She Get? After listening to a co-worker about her and her family's health, I began to explain my "Lifestyle Changes One Day at a Time" plan. I told the co-worker, I didn't want to get caught up in the hype of commercialized, fake, unhealthy, media promoted, emptiness that my generation is being offered. I read everything I can get my hands on and I am constantly trying as many things as I can. I explained that traditional practices have gone out the window in placement for convenience. She shook her head the whole time. I'm not sure what she was thinking, perhaps "This is way too much!" or "I'm not doing all that!" But she finally spoke up and said "How did you get started? My husband is not exactly on the band wagon." With my family in mind, I try to keep topics family friendly. If for some reason that the topics are sensitive, please advise your reader. I am open to learning, tasting and trying something new. If you would like to reach out to me to discuss a new idea, I will be glad to speak with you. 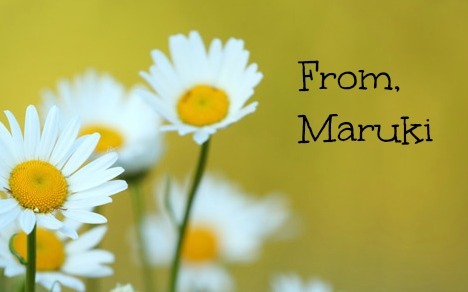 I am open to review gluten free foods, adoption and infertility related products and services, as well as traveling ideas for couples and families. Welcome! I'm Lauren Maruki. Life has a way of throwing unusual situations my way. Join my husband and I as we work through infertility, adoption, decreasing debt and living, gluten free. I will sprinkle in some traveling too! Feel free to laugh, cry and agree to disagree!